The festival will have a host of cultural programmes with local artists performing Hasya Dayro, dance and musical performances. The festival will also have a handloom and handicraft market as well as a mango market. 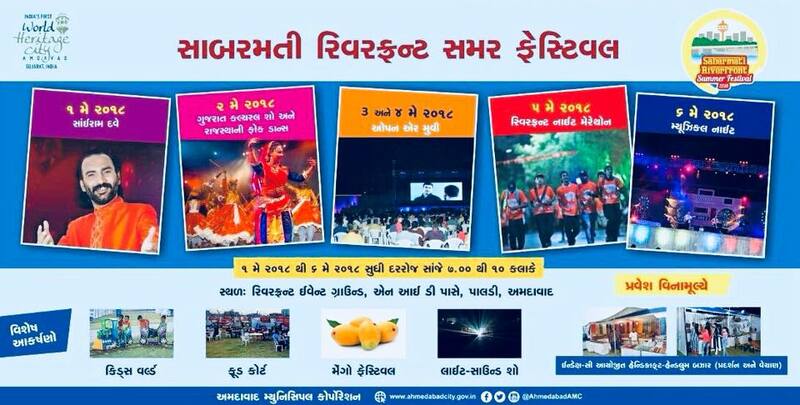 and I am Amdavad selfie point in this Summer festival 2018.